Google Cloud has officially debuted its Cloud Services Platform (GCP) Anthos for managing hybrid clouds, tapping into a raft of IT partnerships. The new flagship offering - which launched in beta last year - will work across on-premise data centres, Google Cloud’s own cloud, plus those of its competitors, Amazon Web Services (AWS) and Microsoft Azure. The technology giant also rolled out Anthos Migrate, a beta service that automatically moves virtual machines running on on-premises or other cloud providers into containers on Google Kubernetes Engine. To deliver the new offering, the vendor partnered with more than 30 hardware and software providers, as well as systems integrators (SIs). Announced at Next '19 in San Francisco, the partnerships include integrations with Cisco, Dell EMC, Hewlett Packard Enterprise, Intel, Lenovo and VMware, who will validate Anthos on their solution stacks and provide the necessary architectures for customers using their data centre hardware. Cisco has been working with Google Cloud since 2017, when the two launched a joint solution combining Kubernetes, GCP Service Catalog, Cisco networking and security, and Istio authentication and service mesh monitoring for enterprise customers. “There is a huge amount of cloud adoption going on,” said David Goeckeler, general manager of networking and security at Cisco. "The way we have talked about it over the last several years has been about aggregation; taking applications and moving them to the cloud." Speaking about the complexity of connecting applications in the cloud, data centres and on the computer’s Edge, Goeckler elaborated: “The enterprise is now having to rethink the entire infrastructure underneath (the applications) and I think it’s up to us in the industry to work together and push boundaries on the adoption of cloud." Meanwhile, to help partners integrate Anthos with their IT systems, Google Cloud is now working with 16 companies including Accenture, Atos, Deloitte, Cognizant and HCL, among others. In addition, more than 20 independent software vendors (ISVs) will integrate their products with Anthos, including Citrix, NetApp, VMware, Palo Alto Networks and Datastax. These can be deployed between GKE via GCP Marketplace, which includes integrated metering and billing. 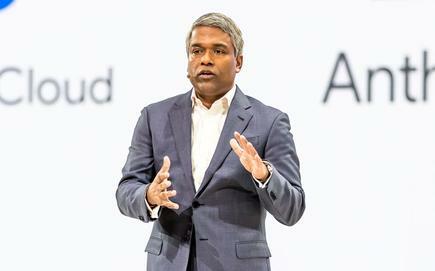 Speaking on stage during Google Cloud’s opening keynote, Sanjay Poonen, COO of VMware said the vendor intended to deliver a unified solution built on both VMs and kubernetes that will incorporate SD-WAN. In addition, it has also launched three new specialisation areas in marketing analytics, internet of things (IoT) and security training. More than 20 partners have achieved these new specialisations, the majority in the marketing analytics space. 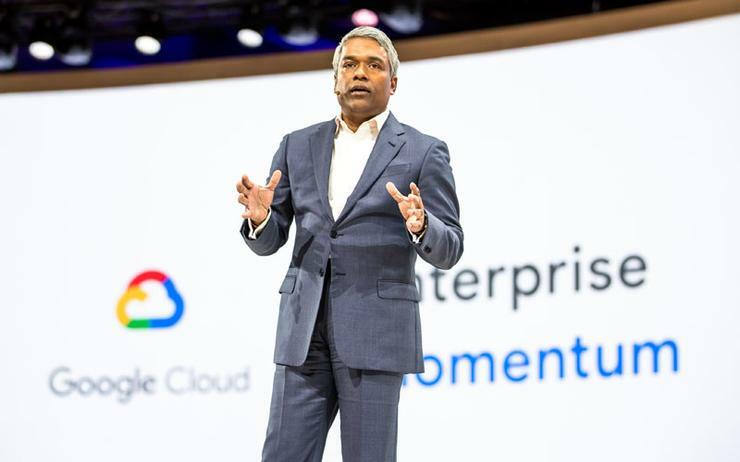 During the opening keynote, Google Cloud’s recently appointed CEO Thomas Kurian said the technology giant had seen the number of partner and developer certifications quadruple over the last year. “We are so grateful to all of our partners who have helped us further our mission,” he added.